How’d you do with your bets on the first day of the NCAA Tournament? Whether you’re in the hole, currently ahead or came out even - it’s time to dive into Friday’s first-round action! In case you missed it, Kansas State will be without its best player in Dean Wade for at least Friday’s game vs. UC Irvine. When Wade missed games earlier this season with a foot injury, the Wildcats were simply a poor man’s version of themselves - K-State was 20-5 in games Wade played and just 5-3 when he sat out. This all sets up for UC Irvine to pull off the upset outright, let alone cover the 4.5-point spread. The Anteaters went 30-5 this year with 15 straight wins to end the regular season and conference tournament. Albeit in a lesser Big West conference, winning that many games is impressive on its own. Furthermore, UC Irvine is 9-1-1 against the spread in the last 11 games, while Kansas State is 1-6 ATS in its last seven non-conference games. Whether or not the Anteaters pull off the upset, they should cover on Friday. 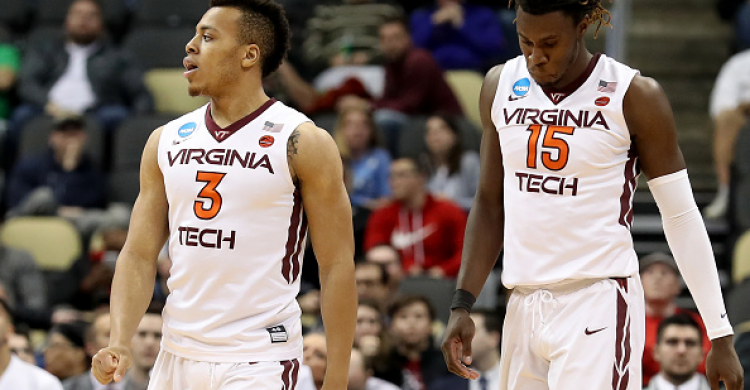 While a 10-point line may seem scary, Virginia Tech is not a normal 4-seed in this tournament and should dominate Saint Louis in this matchup. The Hokies will have senior point guard Justin Robinson back after he’s missed the last 12 games - making them a much better all-around team than their seeding suggests. With Robinson, Tech began the season with a 14-1 record and were 17-3 before he went down. This matchup between the Hokies’ 26th-ranked defense and Saint Louis’ poor FG efficiency (323rd in the country) certainly leans in the favorites’ direction. An even more telling stat is that the Billikens shoot just 30.8% from three-point range - third-worst among all tournament teams. That’s not ideal against a Tech defense that usually forces teams to beat them from the perimeter. Saint Louis had to overcome a 15-point deficit to St. Bonaventure in its conference title game just to make the tournament, while Virginia Tech has gotten better since March Madness began just with the addition of Robinson.